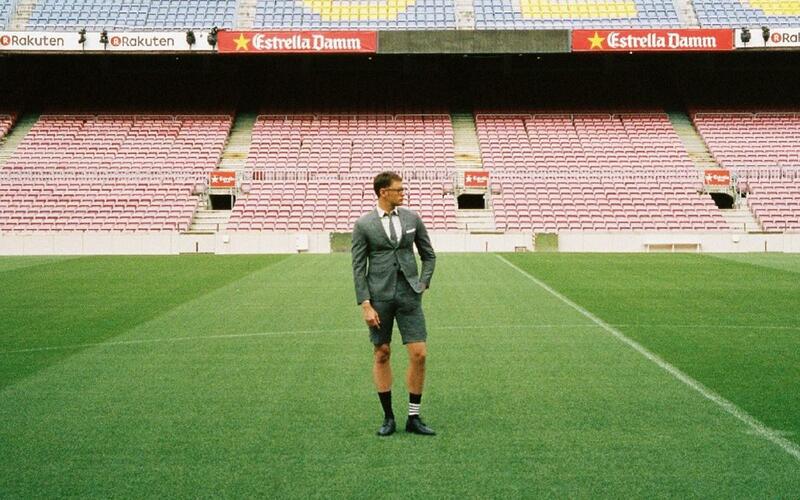 FC Barcelona have announced this Tuesday that they have reached an agreement with the exclusive American fashion brand Thom Browne, which will become a global sponsor of the Club and the official provider of the team’s off-field tailored and formalwear uniforms. From this season and spanning the course of three years, the team coached by Ernesto Valverde will be outfitted with Thom Browne clothing on their away trips. This new agreement represents an important step in the growth forecast in the Strategic Plan, approved by the Board of Directors. It also demonstrates the club’s objective of searching proactively for partners most suited to the values that define the brand, as well as finding the best contracts in the world of sports sponsorship for each category. In 2001, Browne began his business with five suits in a small “by appointment” shop in New York City’s West Village and, in the years following, expanded his business to include complete ready-to-wear and accessories collections for both men (2003) and women (2011). In parallel to his designs, Browne has become known for his creatively conceptual runway presentations meant to simultaneously inspire, entertain and surprise. Browne has been honored with the CFDA Menswear Designer of the Year Award (2006, 2013, 2016), the GQ Designer of the Year (2008), the FIT Couture Council Award (2017) as well as the Cooper Hewitt National Design Award (2012).